Governor Charlie Baker signed the first-in-the-nation legislation on Alzheimer’s into law last week. Rhiana Kohl has faced many sad surprises in the seven years since her husband, Alfredo Bartolozzi, first showed symptoms of Alzheimer’s disease. But perhaps the biggest shock was finding out that even health care workers often don’t understand this common illness. During a hospital stay, an X-ray technician didn’t grasp that Bartolozzi couldn’t follow directions. In an emergency room visit, staffers asked factual questions of a stricken man who didn’t know where he was. And Bartolozzi’s doctors, even after ruling out every other explanation, could not bring themselves to diagnose Alzheimer’s. That’s why Kohl, who lives in Watertown, advocated for the first-in-the-nation legislation on Alzheimer’s that Governor Charlie Baker signed into law last week. The multifaceted law aims to improve the diagnosis and treatment of an illness that afflicts 120,000 Massachusetts residents and 5.7 million Americans. “No other state in the country has something like this,” said Daniel C. Zotos of the Alzheimer’s Association. The legislation requires physicians, physician assistants, and nurses to undergo training in diagnosis, treatment, and care of patients with Alzheimer’s and other forms of dementia, before they can obtain or renew their licenses. It also requires physicians who have diagnosed Alzheimer’s in a patient to inform a family member or legal representative about the diagnosis. And it mandates that all hospitals, no later than Oct. 1, 2021, develop and put in practice a plan for recognizing and managing patients with dementia. Half of Americans with Alzheimer’s disease have not been diagnosed, and half of those with a diagnosis have not been told about it, according to a survey of Medicare beneficiaries, said Zotos, who is director of public policy and advocacy for the association’s Massachusetts/New Hampshire Chapter. For Bartolozzi, Alzheimer’s disease struck at an unusually young age. He was in his mid-40s when he started having trouble remembering, completing tasks, and controlling his temper. Variously diagnosed with depression, stress, and ADHD, he took medications and underwent counseling and anger management courses. Nothing worked. And then, disaster: One day, Kohl found that her credit cards had been canceled and their bank account emptied. Bartolozzi had always been in charge of their finances, and now, confused and forgetful, he had ruined them. It took two years and countless doctor’s visits to arrive at a diagnosis, a costly delay on many levels. An earlier diagnosis would have given Bartolozzi a chance to understand what was happening to him and plan his future. It might have eased the ordeal for their daughters, now 15 and 18, who “spent their entire teen years watching this disease take their father from them,” Kohl said. With an earlier diagnosis, Kohl could have taken over managing finances before trouble struck, and made other preparations. The family could have spent more quality time together during the early stages of the illness, she said. Perhaps they could have visited Bartolozzi’s native Italy while he was still able to enjoy such a trip. Although Bartolozzi, now 53, is an unusually young Alzheimer’s patient, older people also encounter difficulties getting a diagnosis, and suffer similar losses when the diagnosis comes late, said Dr. Brent P. Forester, chief of McLean Hospital’s Division of Geriatric Psychiatry and a specialist in the behavioral complications of Alzheimer’s and related dementias. No single test proves that a person has Alzheimer’s. Doctors diagnose it by assessing mental skills and memory, and ruling out other causes. And when they know or suspect Alzheimer’s, doctors are often hesitant to talk about it, feeling there’s nothing to be done. But patients and their families need to know as soon as possible, Forester said. In the early stages, patients can take medications that in some people slow the disease’s progress, or enroll in a clinical trial of a experimental drugs. Relatives can ensure that the affected person is kept safe and isn’t left with inappropriate responsibilities, such as managing finances. And most critically, Forester said, the family can set about making the patient as comfortable as possible during an illness that could easily last a decade or more. They can find meaningful activities outside the home and learn how to manage the anxiety, depression, and agitation that frequently occur, for example. “If we focus on quality of life, that’s going to make a huge difference,” Forester said. Another provision of the law addresses hospital care. A key legislative champion of the bill, state Senator Barbara A. L’Italien, said she drew from her personal experience. L’Italien took care of her mother, Claire Sullivan L’Italien, during the 10 years she lived with Alzheimer’s, until her death in April. The senator recalled how upsetting it was for her mother to visit the hospital after breaking a shoulder and then a hip. Medical staff, not understanding her condition, questioned her about her medical history. Unable to respond, she became so anxious that she lashed out, swinging at staff and trying to climb out of bed. “She would go from this normally mild-mannered person into this frenzied individual” — until subdued with strong antipsychotics, said L’Italien, an Andover Democrat and chairwoman of the Senate’s Elder Affairs Committee. “Our health care system is not set up to support a person who has memory loss and doesn’t remember where they are or why they’re there,” L’Italien said. The law now requires hospitals to be ready to care for such patients by October 2021. 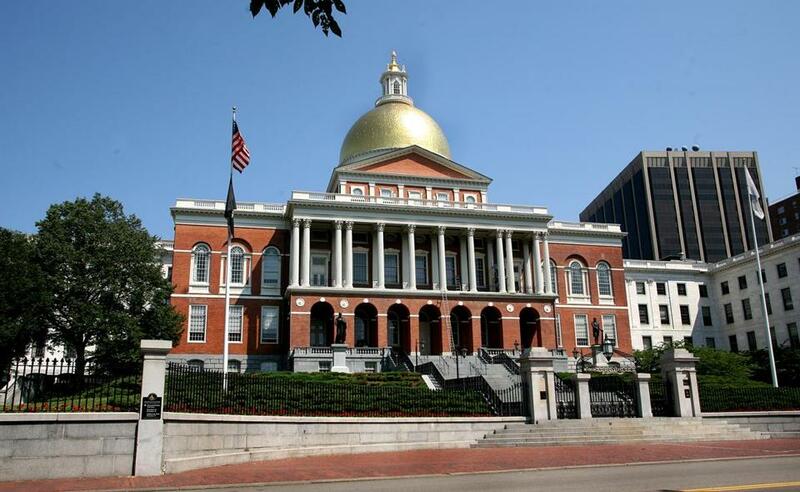 Patricia M. Noga, vice president of clinical affairs for the Massachusetts Health & Hospital Association, said that hospitals had already started working on their Alzheimer’s plans even before the bill was finalized. Meeting that requirement, however, will be arduous. Margaret Foley, director of care management at Emerson Hospital in Concord, gave some examples of the changes ahead. Emerson plans to post in each patient room a purple sheet giving staff information to help them interact with dementia patients. The sheet will list such items as the patient’s nickname, her pet’s name, her past, what makes her anxious, and what calms her down. The hospital is also looking at ways to identify dementia patients when they arrive in the emergency room and find the best location for them, away from distressing noises. Bigger challenges lie ahead, Foley said, when the hospital determines how to design rooms with lighting, colors, bathroom configurations, and other features that would keep dementia patients comfortable.